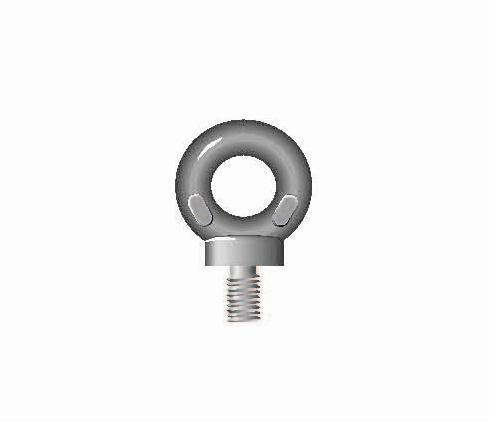 Quality collared eyebolt with metric coarse thread. Made from high tensile steel BS970-080A27, hardened and tempered, with a self-colour finish. Stamped with a traceability code and supplied with a certificate of conformity. Minimum breaking load (MBL) equals 5 x the safe working load (SWL). Conforms to BS 4278 Table 1 - 1984 CE.